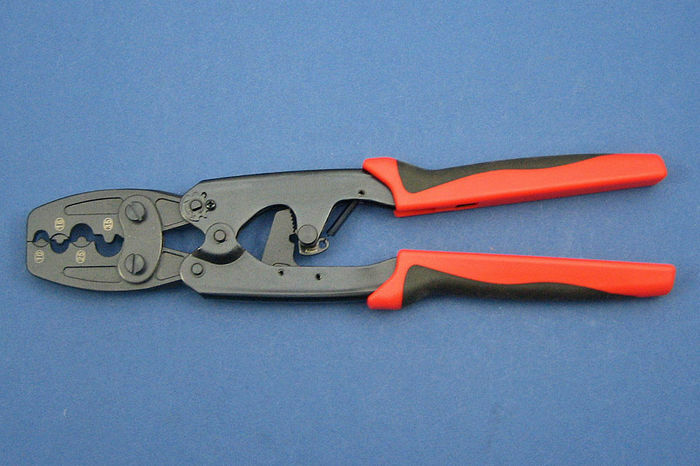 Rachet crimping tool for 4 sizes (10, 16, 25 & 40mm²) of open end and closed end battery cable terminals. 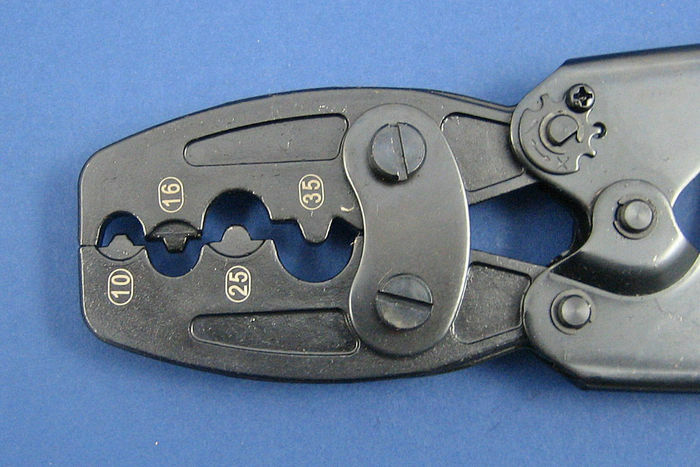 The crimp must be complete before the tool ratchet can be released. A good quality compact tool.